Biomarine - Just Beauty Products, Inc.
Biomarine There are 3 products. 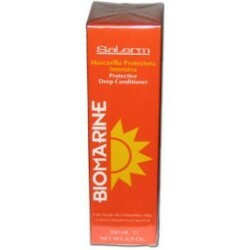 Salerm Biomarine Instant Deep Conditioner 6.8 Fl. Oz. Salerm Biomarine Instant Deep Conditioner 6.8 Fl. Oz. Hair regains sheen, texture and styling capacity. Improves appearance of hair damaged by sun, sea and pool chlorine. Salerm Biomarine Protective Intensive Mask 6.9 Oz. The Salerm Biomarine Protective Intensive Mask eliminates drying caused by the sun, sea and pool chlorine. Components moisturize hair to help it regain its natural elasticity. 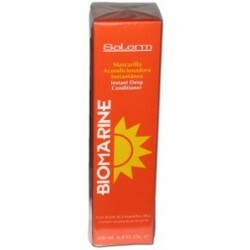 Salerm Biomarine Sun Shampoo 7.2 Oz. 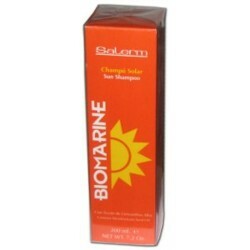 The Salerm Biomarine Sun Shampoo mild shampoo that protects hair from the drying effects of sun, sea and pool chlorine.